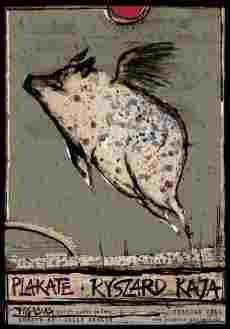 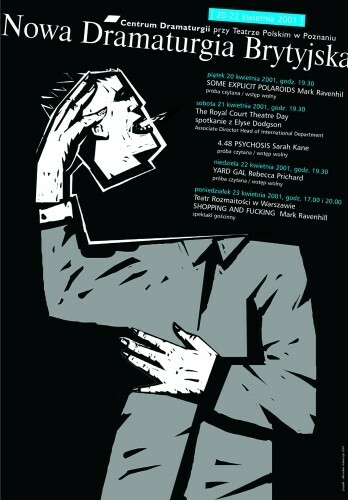 New British Dramaturgy (Nowa Dramaturgia Brytyjska) theatre poster designed by Mirosław Adamczyk original print from 2001. 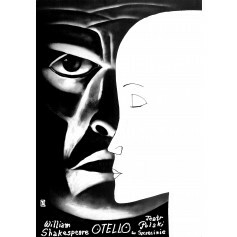 Othello (Otello) theatre poster designed by Leszek Żebrowski from 2002. 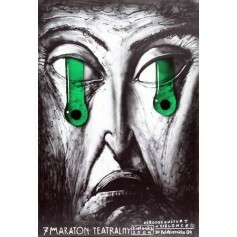 Theaters Maraton 7th (Maraton Teatralny 7.) 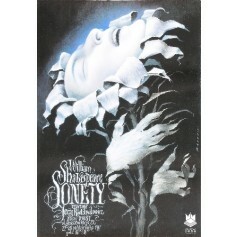 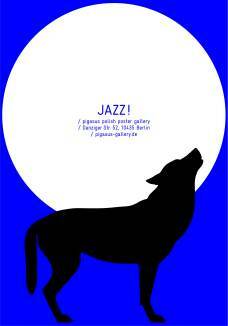 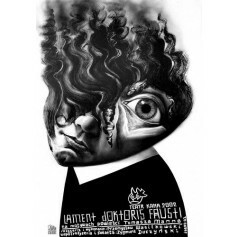 theatre poster designed by Leszek Żebrowski from 2004.